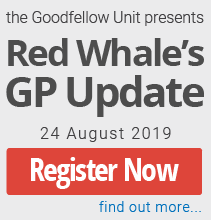 Before 1 February 2019, GPs could treat patients with chronic HCV genotypes 1a and 1b, and genotype 4 (off-label) with Viekira Pak and Viekira Pak-RBV. These medications required a complex dosing schedule and treatment duration of up to 12 weeks. 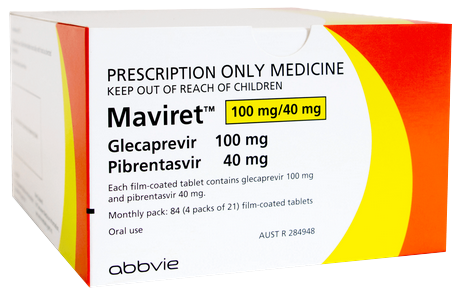 The new medication, glecaprevir plus pibrentasvir (brand name: Maviret) is indicated for use in adults with chronic HCV infection, regardless of genotype, presence or absence of cirrhosis, or previous antiviral therapy.2 It has a simpler dosing regimen (3 tablets once daily for 8 weeks) and can be initiated by GPs. This Medcase discusses using Maviret to treat a patient with chronic HCV. Mr Y is a 61-year-old man who came to see you two weeks ago with symptoms of fatigue and general body aches. He described feeling gradually worse over the past 6-12 months and now finds it difficult to work full-time. Mr Y was born in Nigeria and moved to New Zealand with his wife and children around 30 years ago to take up a university position. He drinks alcohol rarely, though enjoys a beer occasionally in the summer. He quit smoking in his 20s, after he was hospitalised for multiple lower limb fractures following a car accident in Nigeria. He made a good recovery from this and has remained in good health subsequently. His only regular medication is simvastatin 40mg nocte for hyperlipidaemia. My Y had no localising symptoms and clinical examination was normal. You sent him for blood tests including a full blood count and iron studies and arranged follow-up in one week. Today, Mr Y tells you his symptoms remained unchanged and he is concerned. You explain that the blood tests are normal, and you note that he had a normal chest X-ray last year following a bout of pneumonia, and a normal colonoscopy 3 months ago. There are still no localising symptoms on systemic enquiry, and clinical examination is normal again today. However, you notice a tattoo on the inside of his arm, which he tells you was done by a friend’s girlfriend when he was a teenager. a tattoo administered in a high-risk country where disposable equipment is not always available. being born to an HCV infected mother. You explain to Mr Y that you would like to test for chronic HCV infection. He agrees to have another blood test, and you send him for HCV serology and liver function tests (LFTs). However, you explain that this test can’t distinguish between current and previous HCV infection, so if it comes back positive, he will need a second test to look for active infection. You make a plan to phone and advise if he needs the second test and give him another lab form (for HCV RNA assay, LFTs including AST, INR, renal function tests plus hepatitis A and B serology and HIV infection). Check your local regional pathways for guidelines. NOTE: At the time of writing, HCV RNA testing was required as a second test to confirm active HCV infection. While some laboratories test this reflexively in patients with positive HCV serology, others do not and thus require patients to make two separate trips to the laboratory. It is hoped this process will be simplified soon if HCV core antigen assay becomes more widely available as a reflexive, confirmatory test. Positive HCV serology and HCV RNA assay: What next? The results come back positive for HCV serology and Mr Y diligently returns to the lab for his HCV RNA assay, which is also positive. Mr Y and his wife return to see you to discuss the diagnosis. He is pleased that this may explain his fatigue but asks how he could be infected with HCV when he doesn’t recall ever getting sick in the past. He also asks if he could have passed it on to his family. Acute HCV infection is a notifiable disease but is frequently missed as it is often asymptomatic; only 25-30% of people experience symptoms such as fatigue, nausea, abdominal pain, muscle aches or jaundice.4 Elevated alanine aminotransferase (ALT) levels to >10 times the upper limit of normal (ULN) occur four to eight weeks after infection, but typically return to normal with 3-6 months. Around a quarter of infected people will clear HCV spontaneously, but most (approximately 75%) go on to develop chronic HCV infection. Unfortunately, chronic HCV infection is a condition that can cause progressive damage to the liver while remaining asymptomatic. The risk of cirrhosis increases with the duration of infection; up to 30% of patients will develop cirrhosis after 20-30 years, and once cirrhosis has developed, then up to 4% per year will develop hepatocellular carcinoma (HCC). Alcohol intake, obesity, HBV co-infection and HIV co-infection all speed the progression of HCV. Transmission of HCV is via blood, and the most common method in New Zealand is via intravenous drug use (IVDU); vertical (mother-to-baby) and sexual transmission are uncommon. Mr Y is most likely to have contracted HCV from his tattoo or from receiving blood products following his accident in Nigeria. However, you advise Mr Y that until he is treated and clearance of HCV is confirmed, he should take precautions to avoid transmission, including covering any open cuts or sores, not sharing razors, toothbrushes or any object that could come into contact with blood or body fluid, and cleaning any blood spills with household bleach (for a full list of precautions see the Hepatitis C website). HCV is not spread through everyday contact such as touching, sneezing, coughing or sharing cutlery. What treatments are available for chronic HCV? Mr Y asks you about treatment for chronic HCV. Will this infection shorten his life? The new combination direct antiviral (DAA) medication Maviret is now fully funded for all patients with chronic HCV infection, regardless of genotype. It may be suitable for Mr Y, though further investigations are required before starting treatment. A small number of patients with HCV have been treated with either pegylated interferon or VIEKIRA PAK. These patients need more complex treatment regimens (longer and additional agents) so should be referred to secondary care. Laboratory tests to check for decreased serum albumin, elevated serum bilirubin, high INR (>1.3), or low platelet count. NB: Also screen for concomitant infection with hepatitis A, B and HIV. Check your local regional pathways for tests. APRI score (ratio of aspartame aminotransferase [AST] levels to platelet concentration; or liver elastography (FIbroscan) if available, or; see AST to Platelet Ratio Index (APRI) Calculator. Cirrhosis can be excluded in patients with APRI < 1.0 or with liver stiffness <12.5 kilopascals. You note that Mr Y is clinically well with no signs of cirrhosis on examination. He has normal blood tests, and you calculate his APRI score as 0.3 (AST 42 IU/L, with ULN 50 IU/L, and platelets 275x109/L). This indicates there is no cirrhosis. Patients previously treated for HCV, or those with cirrhosis or co-infection with hepatitis B or HIV should be referred to secondary care. You explain to Mr Y that he is suitable for treatment in primary care, but you must first make sure that the new medication will not interact with his current medications, which include regular simvastatin and occasional paracetamol for his osteoarthritic knee pain. The next step in pre-treatment assessment is to look for medicine interactions. There is a specific HCV interaction checker, or check the New Zealand Formulary. Mr Y is taking simvastatin; both simvastatin and atorvastatin are contraindicated when taking Maviret due to increased statin levels (refer Maviret data sheet). However, other statins including pravastatin and rosuvastatin can be used with caution while taking Maviret, so switching to one of these is the recommended action. Mr Y is taking simvastatin 40mg nocte. You discuss some options, which include stopping the statin during treatment or switching to pravastatin (at a 50% dose reduction) or the unsubsidised rosuvastatin (maximum dose 10mg daily). Mr Y chooses to switch to pravastatin, and you prescribe him 20mg nocte to start immediately (see BPAC's Cardiovascular disease risk assessment in primary care: managing lipids for a statin potency equivalence chart). There are no interactions between Maviret and paracetamol, so Mr Y can continue to use this occasional for his knee pain. Having established that Mr Y does not have cirrhosis and has switched to a statin that can be safely taken alongside Maviret, you are ready to prescribe. The recommended dose is three tablets in the morning with food. There is no need to reduce the dose for patients with renal impairment (discuss with a gastroenterologist when eGFR <30 mL/min/1.73 m2). 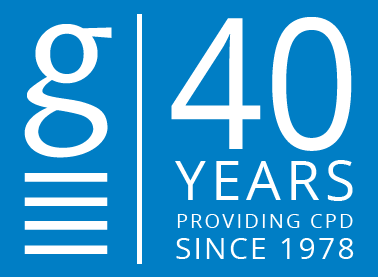 Patients can collect their medication from enrolled AbbVie Care pharmacies. If patients cannot get to an enrolled pharmacy, the medication can be delivered to an alternative location; contact PHARMAC on 0800-023-588 (option 3) to arrange this. What should your patient expect when taking this medication? The most common adverse effects reported in the clinical trials of Maviret are headache (17% of patients), fatigue (14%), and diarrhoea (6%).2 However, these adverse events occurred at the same frequency and severity in patients receiving Maviret and in those receiving placebo. Maviret is also simpler to take than Viekira Pak, with an 8-week rather than 12-week duration, and no ribavirin or monitoring required. Patients may also begin to notice the benefits of eradicating HCV infection during the treatment course. Most patients will experience improved quality of life, with resolution of fatigue and low mood. Patients without cirrhosis do not need any specific monitoring blood tests during treatment. A follow-up visit or phone call after 4 weeks treatment could be considered in patients with history of nonadherence. At 12 weeks after the completion of treatment (i.e. 20 weeks after starting treatment), the patient should have a test to check for eradication of HCV is recommended (HCV RNA assay or HCV core antigen assay). A negative test at this time indicates cure. LFTs should also be checked at 12 weeks after treatment completion. Liver function is expected to improve after treatment, but additional follow-up may be required if there are ongoing elevated LFTs (to look for other causes of liver dysfunction, in particular nonalcoholic fatty liver disease). Mr Y returns after his 12-week blood tests, which showed negative HCV RNA and normal LFTs. He is delighted to know the infection has been eradicated and is feeling more energised and happier. He has been able to return to full time work. He asks if there is a risk of the infection returning. Patients without cirrhosis and normal liver function tests require no further follow-up. If there are LFT abnormalities, these require further investigations for other causes (e.g. medications, alcohol or recreational drug use, non-alcoholic fatty liver disease or inherited conditions). Patients with cirrhosis require ongoing surveillance for progression to HCC. The process for this varies by DHB; in some it will be arranged by secondary care, in others GPs can request 6-monthly AFP and ultrasound scans. There is no potential to develop immunity to HCV, so patients who remain at high risk of re-infection (ongoing injectable drug users or those with other ongoing risk factors) require counselling about prevention and annual HCV testing. Glecapravir plus pribentasvir (Maviret) is a new, fully funded treatment for all adults with compensated chronic HCV infection. More than 99% of patients with chronic HCV infection will be cured with Maviret, preventing serious liver-related complications such as cirrhosis and hepatocellular carcinoma. Consider screening for HCV infection in patients with risk factors for previous HCV exposure. Step 1 of pre-treatment assessment involves asking whether the patient has ever received previous treatment. If so, he/she should be referred to secondary care as retreatment is more complex. Step 2 of pre-treatment assessment involves assessment for cirrhosis; patients without cirrhosis can be treated in primary care with 8 weeks Maviret. Patients with compensated cirrhosis can also be treated in primary care with 12 weeks Maviret but should also be referred to secondary care for long-term monitoring for complications (varices and liver cancer). Step 3 of pre-treatment assessment involves checking for drug interactions. Beware some statins and the combined oral contraceptive pill are contraindicated for the 8 weeks of treatment with Maviret. Maviret is available from enrolled pharmacies; see Maviret website for a list of enrolled pharmacies in your region. This MedCase was created in 2019 by Dr Vicki Mount, MBChB DipPaeds, and reviewed by Dr Gane, Professor of Medicine at the University of Auckland, Chief Hepatologist and Deputy Director of the New Zealand Liver Transplant Unit.